VANCOUVER, B.C – He doesn’t take coffee, he drinks tea, and he enjoys a proper full English breakfast, once in a while. Scott Sutter is an Englishman in Vancouver with Whitecaps FC. The 32 year-old Swiss international signed with Vancouver on January 31, 2019. Sutter brings a wealth of football experience to a young Whitecaps FC squad. His decision to sign with Whitecaps FC was helped by a trio of former fan favourites. Eric Hassli, Davide Chiumiento, and Alain Rochat all spoke highly of their time with Whitecaps FC. Growing up in football mad London, England, how did Sutter find his way to Switzerland? Since Sutter has spent the majority of his career playing in Switzerland, one might wonder, does he prefer a biscuit or a piece of Swiss chocolate with a cup of tea? Once you take an Englishman out of London, and introduce him to Swiss chocolate, it’s game over, there’s no going back. Sutter still loves the occasional fry up, but since he’s a professional, he’s had to cut down on a cheeky full English. While Sutter is getting acclimated to life on the west coast, he is looking to carve out a new role with Whitecaps FC. Sutter is expected to fill in at right-back. His role as a veteran presence in the locker room, is where he’ll earn his bread and butter. In 14 seasons in the Swiss Super League, Sutter made over 200 combined appearances with, Grasshopper Club Zürich, BSC Young Boys, and FC Zürich. In all competitions he contributed 13 goals, and 31 assists. During his two seasons with Orlando City SC, Sutter made 51 appearances with 4 goals, and 6 assists. Coach Marc Dos Santos envisions Sutter being a mentor to Jake Nerwinski and academy prospect, Georges Mukumbilwa. As he adjusts to life in Vancouver, Sutter is already fitting in off the pitch. He’s bonded and made a new bezzie-mate. Scott Sutter is an Englishman in Vancouver with Whitecaps FC. You can see him and his teammates kickoff of the season on Saturday, March 2 vs Minnesota United FC at B.C. Place Stadium. 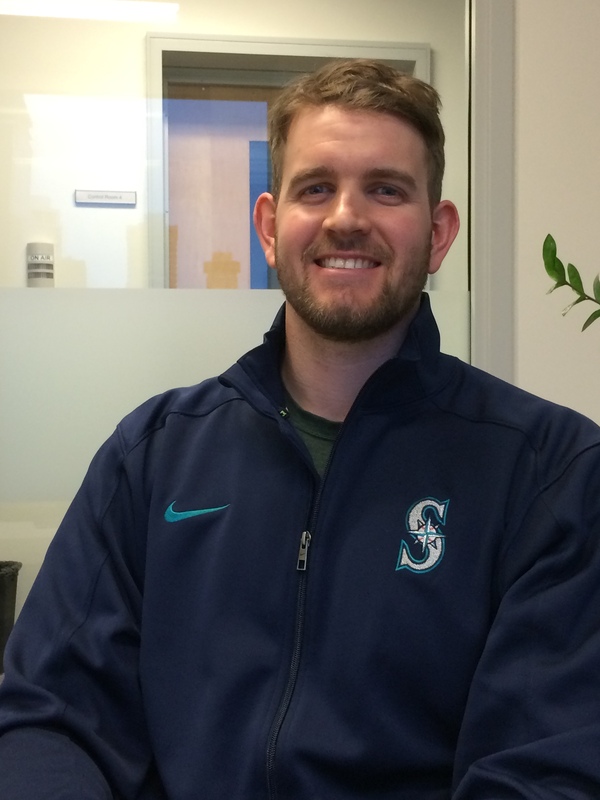 Seattle Mariners Pitcher James Paxton is ready for the 2015 MLB season. VANCOUVER, B.C – The Seattle Mariners are expected to do big things this season as many prognosticators have picked Seattle to win the American League West and quite possibly make the World Series. The pitching rotation has always been a strong point for the Mariners and this season Ladner, B.C. native James Paxton will be relied on heavily to deliver a tremendous breakthrough season. Paxton will make his season debut against the Los Angeles Angles of Anaheim tonight at Safeco Field. The Mariners opened the season with a dominating 4-1 victory over the Angles thanks in part to a brilliant showing by Felix Hernandez. His line included 7 innings pitched and 10 strikeouts. While Paxton won’t step into the AL Cy Young calibre shoes that King Felix has. He does hope to stay healthy and provide the Mariners with a chance to win each and every time he takes the mound. The 26 year-old missed a large chunk of the 2014 season with a lingering lat muscle injury. Paxton made a pair of starts last April before being sidelined until August 2. The lat injury that James Paxton suffered does not put him at a greater risk for the increasingly popular Tommy John surgery. During the early stages of Mariners spring training health was not in the cards for Paxton. An agility drill caused Paxton to trip and fall. He injured both of his arms. X-rays came back negative, but it took almost a month to fully recover. In a trio of spring training starts on March 22, March 27, and April 1, Paxton posted the following combined numbers. 10.1 innings pitched, 19 H, 12 R, 9 ER, 5 BB, and 6 strikeouts. If Paxton is going to be successful this season he will rely on four special pitches when he is on the mound. His fastball and curveball will remain as his bread and butter and he’s also working on something new. The six-foot and four-inch ‘southpaw’ would like to cut down on his walks. Working the inner and outside corners of a strike zone can only work to a pitchers advantage if he has excellent control. Paxton feels that he has a handle on the amount of walks he gives up much more now than in his past. The former Kentucky Wildcat pitcher can always count on family and friends to support him for all of his home starts at Safeco Field. Growing up in Ladner, Paxton cheered for the Mariners, his favourite player was fellow left-hander, Randy Johnson. Now that Paxton has made the show he always has a lot of fun pitching for those who have supported him along the way to where he is now. The Mariners offense is expected to be even better than what was shown last season. All-star second baseman Robinson Cano will have some protection in the Mariners lineup thanks to the December signing of Nelson Cruz. Seattle General Manager Jack Zduriencik signed Cruz to a $57 million, four-year contract. James Paxton knows this is a complete game changer for the Mariners. Seattle pitching has always been outstanding with Felix Hernandez leading the way. James Paxton and Taijuan Walker should take a huge step in 2015 to help the Mariners get back to the post-season. Scoring runs has always been a question mark, but this year that won’t be the case. The Mariners will channel the Seattle Seahawks by making the playoffs and going on a long post-season run. Notes: James Paxton notes that the toughest batter he has faced in his career is Miguel Cabrera of the Detroit Tigers. ‘Miggy’ is three for five with a pair of doubles and a walk against Paxton.